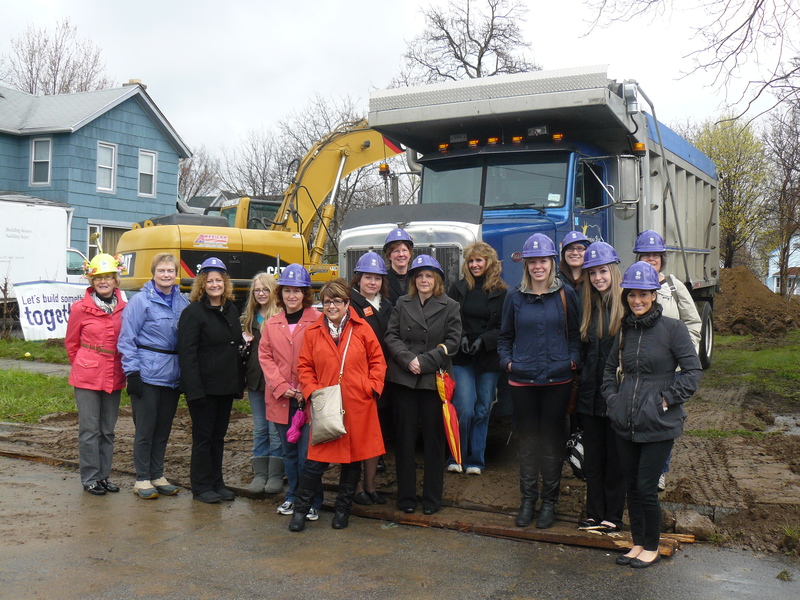 We had a group photo taken with a female dump truck driver! We are well on our way to reaching our fundraising goal. As of April 13, we are just shy of $20,000 raised! Great job everyone! Keep it up! This entry was posted in House Progress, Women Build 2012 Events by flowercityhabitat. Bookmark the permalink.